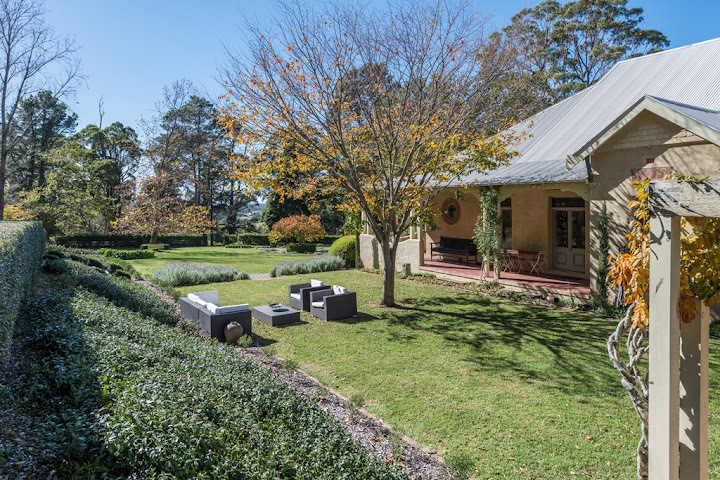 The retired politician activist Peter Garrett has listed his Southern Highlands retreat. 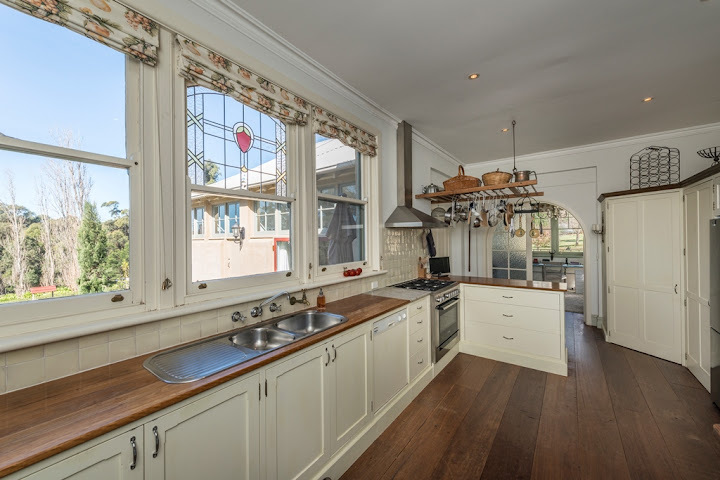 The historic Queen Anne Federation Rowe Cottage has undergone extensive renovation since bought (pictured circa 1995) in May 1995 through Peter Shaw First National. 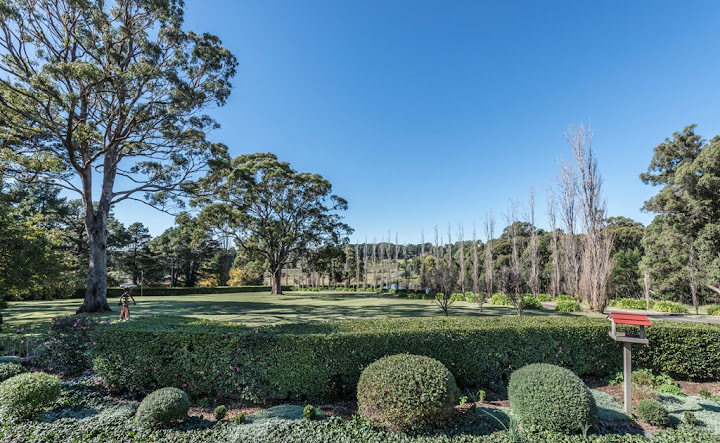 The former Midnight Oil frontman paid $531,000 for the 5.8-hectare property and its historic Queen Anne Federation residence, known as Rowe. 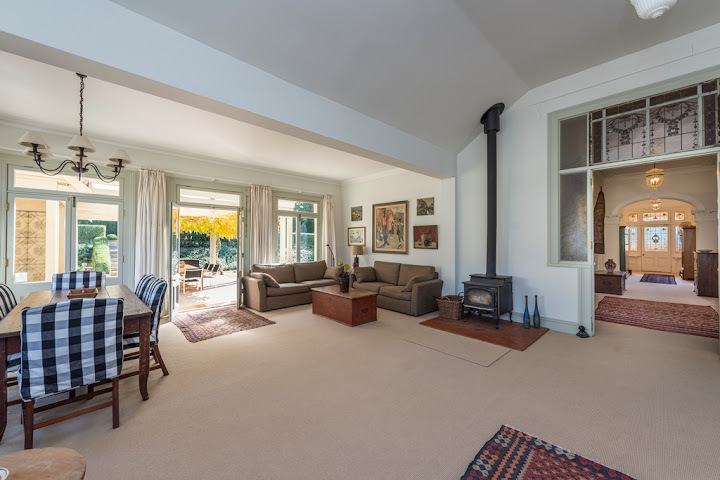 Soon after the couple bought the property, it was restored in parts and renovated in others, and has since scored a tennis court to go with the cricket pitch, and a separate guest cottage used as a home office by the former education and environment minister. Is significant socially and aesthetically within the local community as a purpose-built component of the Renwick Child Welfare Group. Is also significant within the town as a good representative example of an early 20th century residence in the Federation Bungalow style, this significance being enhanced by the intactness of much of the building’s original fabric. 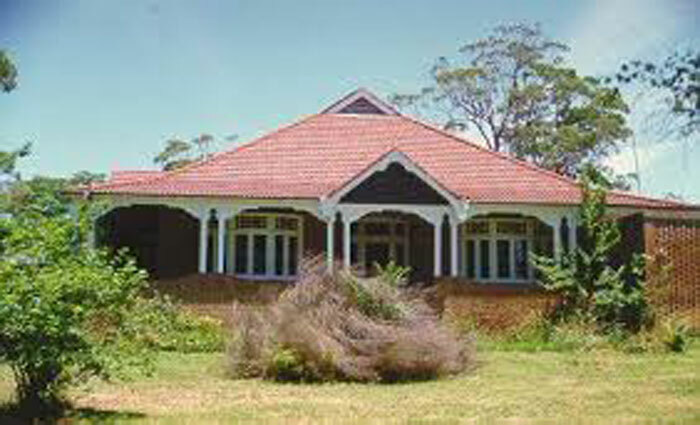 Physical description: A single storey Federation Bungalow with facebrick external walls and cement- tile clad, half-gabled roof. a glazed and panelled front door (with side and fanlights) centrally located in the front elevation. Modifications and dates: Face brickwork extensions on west, southwest and southern elevations. Cement tiles to roof probably not original. 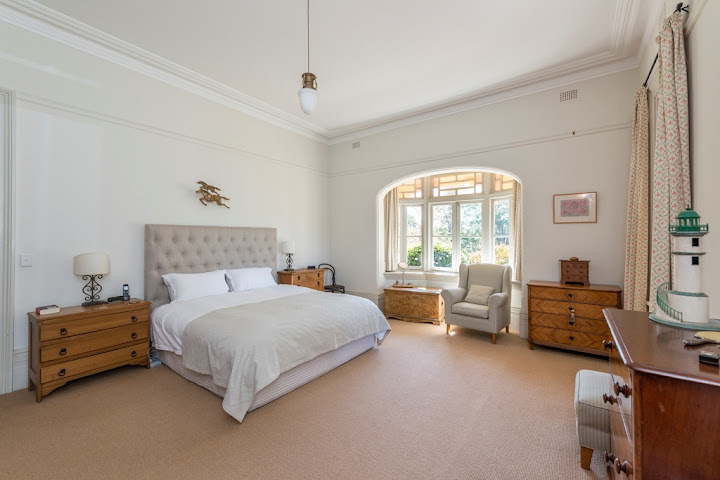 This gracious historic Queen Anne Federation home, built between 1908-1910 by a Master craftsman, sits perfectly on private 14.3 acres, yet only an hour from Sydney Airport and minutes from Mittagong and Bowral. 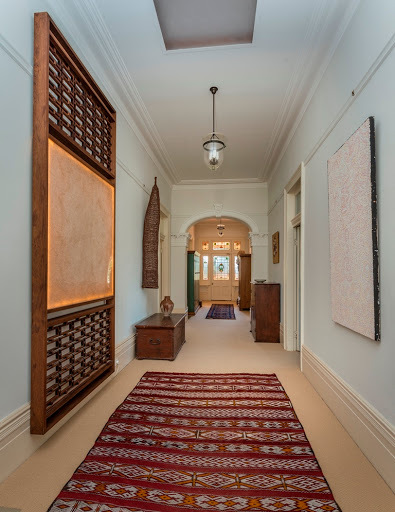 • Restored with European sensitivity, the generous home features 3.5+m high ceilings in most rooms and a wide, elegant hallway. 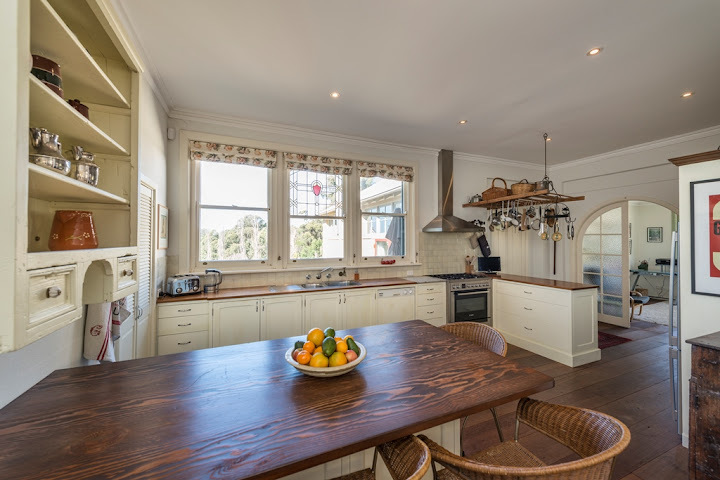 • Enclosed by a wide wrap around verandah, it comprises 4 large bedrooms, 2 bathrooms (one ensuite), two studies, formal living room with open fireplace and beautiful bay window. 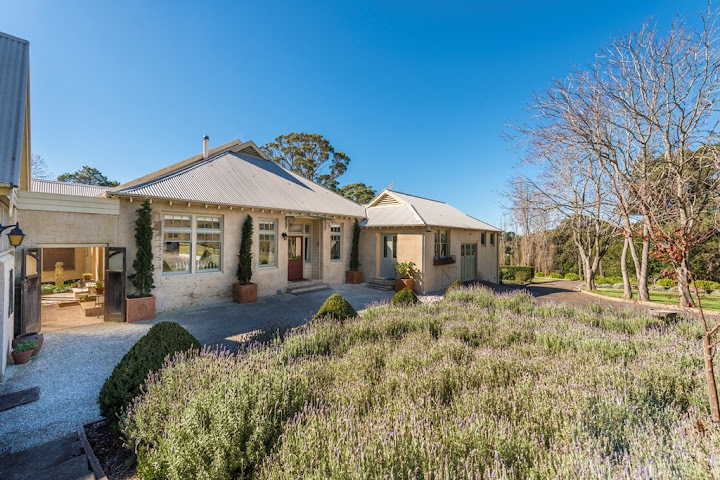 • A large open plan kitchen, family and dining room with slow combustion fire leads to an inviting wisteria covered terrace on one side and a sunny breakfast deck with views over vineyards on the other. 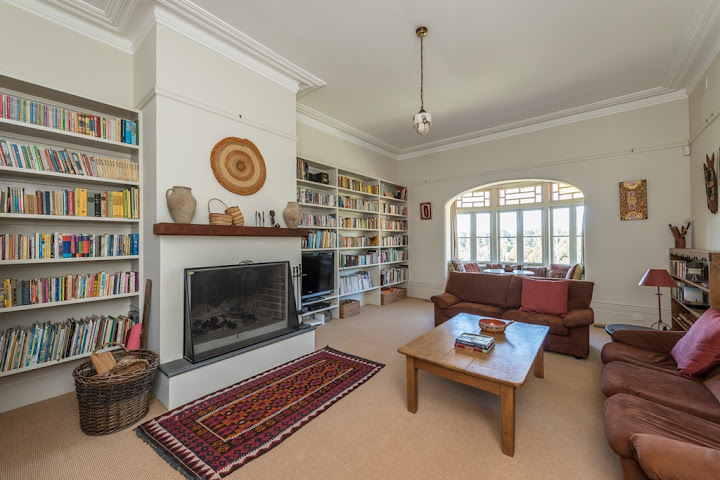 • A charming guest cottage with full bathroom and large loft accommodation also houses a north facing office which has options for use as lounge room or additional bedroom. 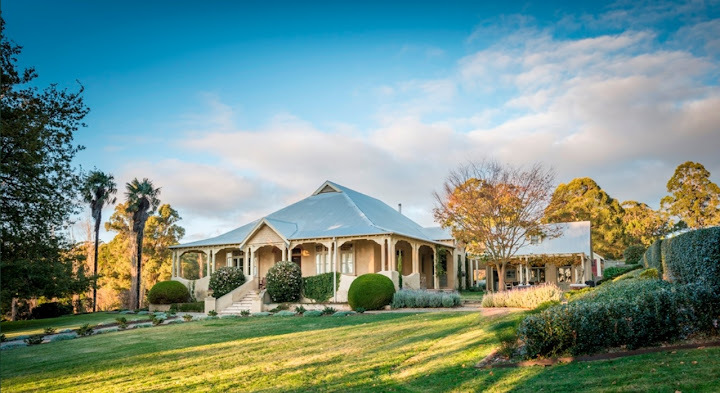 • Park-like gardens as well as your own bushland are a wonderful feature of the property providing year round colour and ensuring total privacy. 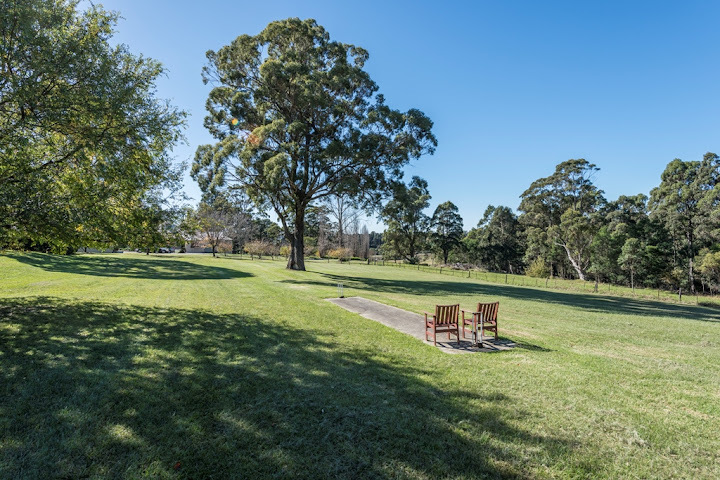 • Other features include gas central heating, a spring fed dam, a fruit orchard, animal enclosures, rainwater tanks, formal garden, town water, a full size tennis court, a cricket pitch, three car garaging, intercom and alarm systems. 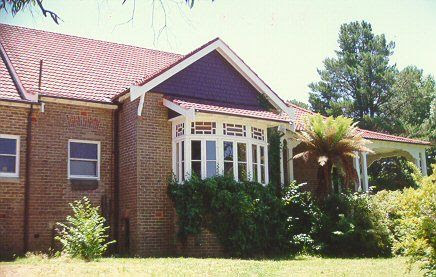 Rowe Cottage was among the Mittagong Cottage Homes, established from 1885 by the State Children’s Relief Board. They were houses that each held 20 children, ranging in age from infancy to adolescence. 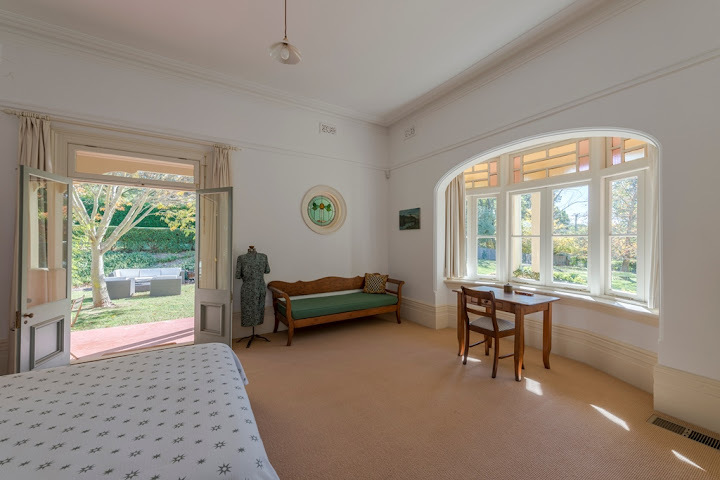 The cottages had different functions, as hospitals, disability and truancy institutions, convalescent homes, transit points between foster placements and the reformatory Mittagong Farm School and Training School. More than 30,000 state children passed through the cottages. The Mittagong Cottage Homes had an important role in the New South Wales Government’s child welfare system. 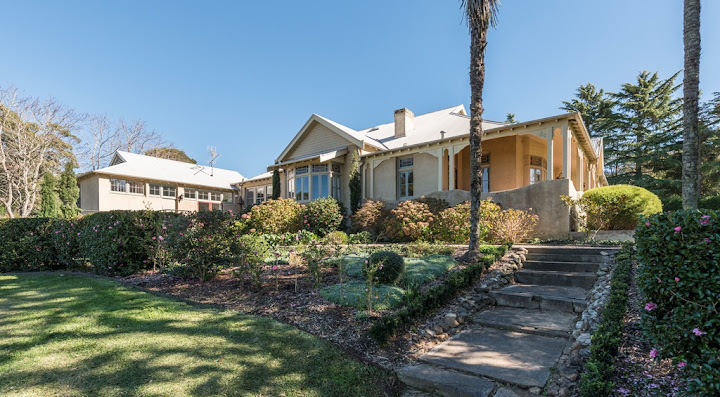 Mittagong, it was argued, had a healthy climate which enabled children to gain health and strength and education, surrounded by good farming land, which provided the food necessary to run the homes. Their programmes included orcharding, dairying, general farming, tailoring, bootmaking, carpentry, poultry and pig farming. Two nearby early 19th century Crown land grants in the area went to Robert Plumb and one to John Thomas Wilson. On these lands the Southwood Estate was established and came under the ownership of Stephen John Pearson and John Douse Langley. The western half of the Southwood Estate was subdivided in 1886. The balance of the estate including the eastern side (approximately 397 acres) was purchased by the government in 1907 for use as a farm for delinquent boys. 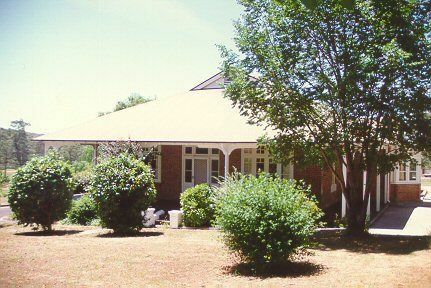 The Mittagong Cottage Homes Area is the site of various NSW Government institutions, including the former Mittagong Cottage Homes, Mittagong Farm Home, Mittagong Training Home and Renwick Child Welfare Homes. It was used continuously as a government child welfare institution, on the cottage system, from 1896 until 1994. The area is on Bong Bong Road, bounded by Old Hume Highway and Old South Road, and includes Renwick Drive. 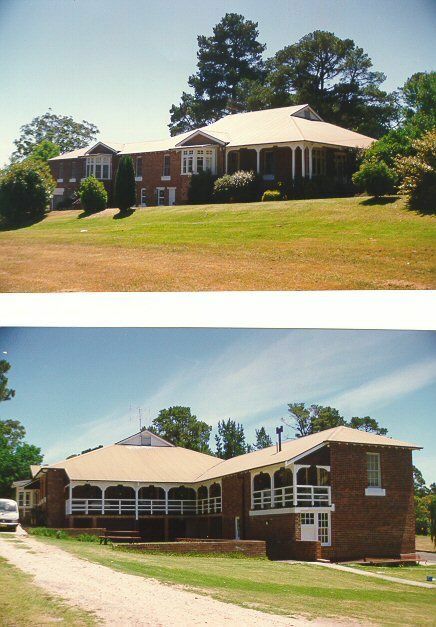 The NSW Government sold the site in 1994. Is significant socially and aesthetically within the local community as an early purpose-built component of the Renwick Child Welfare Group. 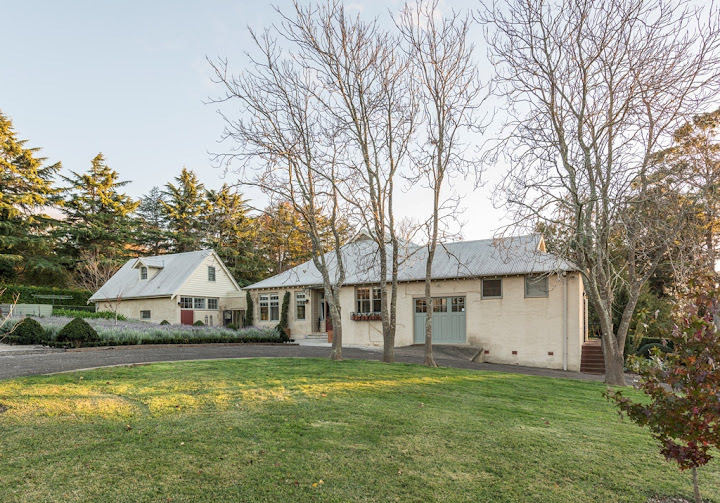 Is also significant within the town as a representative example of an early 20th century Federation Bungalow residence, this significance due in large measure to the intact original form and detail of the main elevations but compromised somewhat by the size of subsequent additions. A single storey Federation Bungalow with face brickwork external walls and a corrugated steel clad, half-gabled roof. In the 19th century there were several large institutions operating as orphanages and reform schools in the colony of NSW. These included the Female Orphan School (1801 – 1850), the Male Orphan School (1818 – 1850), Randwick Asylum for Destitute Children (1852 -1916) and the Protestant Orphan School (1850 – 1886). In the 1870s Judge Winderer headed a Royal Commission on Public Charities and its two reports of 1873 and 1874 advocated a ‘boarding-out’ or fostering system rather than the large orphanages of the day. This boarding-out system was similar in many respects to modern day foster-care. The State Children’s Relief Board, which was constituted by Parliament in 1881 to remove children from orphanages and place them in foster care. However some children were considered to need different forms of care because they were crippled, mentally disabled and or suffering from disease. In his second Annual Report, Dr Arthur Renwick, Chair of the Board, advocated for special cottages to be established for the care of these children. 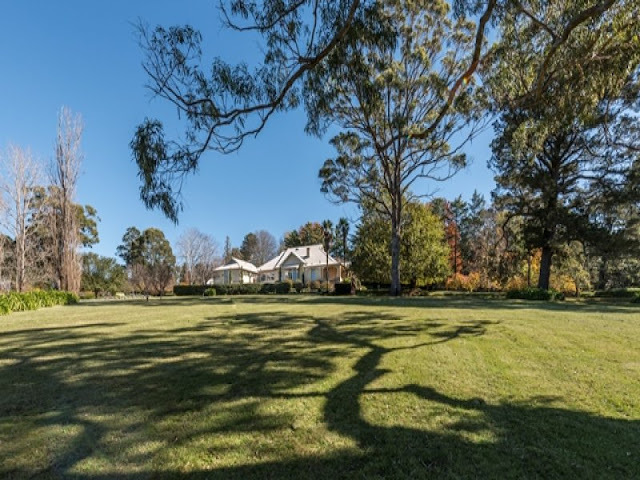 Early in 1885, four Cottage Homes were established: two at Pennant Hills and one each at Picton and Mittagong. A superintendent’s cottage (Is this Rowe Cottage?) was constructed in 1910 and remained in use until 1966, when it was extended to allow accommodation for boys.